Some cars become movie stars in their own right, some are as stunning as Charlize Theron, others as masculine as Clint Eastwood, and some just have that intangible star power that some people (and cars) have in spades. So, why not put your knowledge to the test and see how well you really know these four-wheeled movie stars? The producers of then new tv series "The Saint" were looking for a car for their dashing hero to drive and narrowed it down to two choices. The other company declined so Volvo gave them a car. What was their first choice? 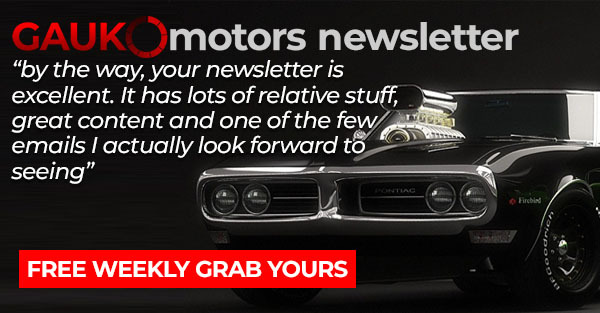 Head on over to Motorpedia.wiki for news, quizzes, videos, top 10's and many more! Don't forget to let us know how you did in the comments below, and let us have it if we missed your favourite 4-wheeled movie-star! How fast was the Supra from the first Fast and Furious said to be able to do the 1/4 mile in, roughly? What was the name of the custom-built submarine created for the 1977 James Bond film "The Spy Who Loved Me" in the shape of a Lotus Esprit S1? Thanks to Doc and Marty, John DeLorean's failed supercar is now the world's most famous time machine (Well... or a certain blue Police box). In what year was the first "Back to the Future" released? It's hard not to think of the Ecto-1 when you hear the Ghostbusters theme song. But what car was the Ecto-1 originally, before being converted into a ghost-busting-mobile? What was the name of Steve Mcqueen's character in the awesome "Bullit"? What brand of beer was Bo "Bandit" Darville trying to smuggle over the Mississippi river in the classic "Smokey and the Bandit"
How many seasons did the beloved "Dukes of Hazzard" run for? In the Christopher Nolans brilliant "Dark Knight" trilogy, the Batmobile is never actually referred to as the Batmobile, instead it is called the...? James Bond's cars become famous the moment they appear on screen, but none has garnered more attention than the beautiful Aston Martin DB5. It sold at auction in 2010, but for how much? That's the last question of the Quiz, but if you're pining for more automotive trivia, head on over to Motorpedia.wiki for news, quizzes, videos, top 10's and many more! Don't forget to let us know how you did in the comments below, and let us have it if we missed your favourite 4-wheeled moviestar!